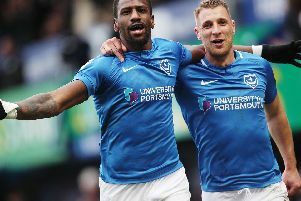 Pompey’s boss confessed he would love to have up to seven of their players. Then Hammers manager Alan Curbishley was facing the possibility of a mass clearout – unless his side pulled off a miracle and escaped the drop from the Premier League. At the time, as many of 15 players were reported to be on their way out of Upton Park. And Pompey promised to be among the beneficiaries. Redknapp had been linked with the West Ham job even though Curbishley had a vote of confidence from chairman Eggert Magnusson. One bookmaker had made Redknapp 5/1 favourite to be the next Hammers boss. But a far more likely scenario was the Londoner looking to West Ham’s squad to strengthen Pompey. Yossi Benayoun, Marlon Harewood, Anton Ferdinand, Nigel Reo-Coker, Luis Boa Morte, Carlos Tevez and Dean Ashton were all players Redknapp admired. And all were among those reported to be leaving east London that summer unless West Ham bridged a 10-point gap to safety. Redknapp had tried to buy midfielders Reo-Coker and Benayoun before and had also been linked with a move for striker Harewood. He wanted to sign Ashton in January 2006 but the £7.25m fee was too much. Speaking to The News back then, Redknapp said: ‘To stay in this league you’ve got to keep improving. ‘We have to keep strengthening to have a chance of finishing in the top 10 next year. ‘Other sides have spent a lot of money compared to us and are struggling, like West Ham and Charlton. ‘West Ham have spent fortunes and have a fantastic squad of players – I’d take six or seven of them tomorrow.